PATONG BEACH / BANGLA ROAD YOUR ARE INSANE!!! Okay, I know the cowboy street in bangkok is probably crazier, but Bangla Road in Phuket is giving Bangkok a run for it’s money! 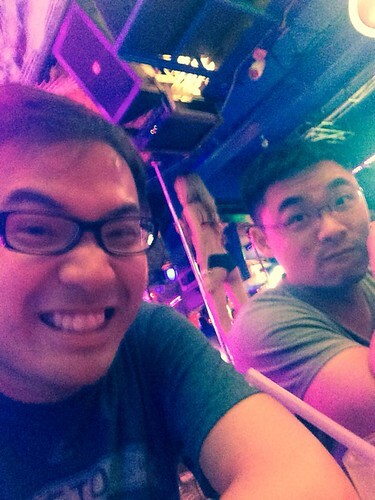 A lot of bars, a lot of girls (lady boys?) harassing you, a lot of “ping pong” shows (and no I didn’t see one). 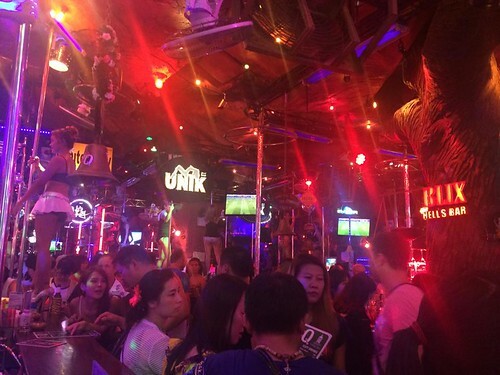 This is where the night lives in Phuket! We spent all of our nights in this area, so you can safely assume a lot of alcohol was consumed. One thing you have to be prepared when walking through this area, is the constant harassment you will get. People will throw menus at your face, lady boys grabbing on to you, random people inviting you to ping pong shows. Aside from that though, there are a few bars where they have great live music. These bars also make sure you are not harassed, so it’s actually quite nice sitting in there for a few drinks. Tip, the bar called “New York” has a really good band, which unfortunately I did not get the name of. If you are in the area try going there for a drink! Getting here is really easy, but I do recommend taking a tuk tuk or taxi here. 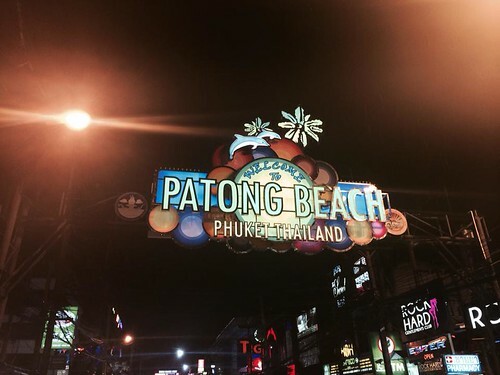 All drivers would know where Patong Beach, Bangla road is so do not worry about any language problems. Furthermore, you can not miss it once you arrive! Just look for that big sign (see picture above) and you know you are in the right area! Cars can not enter the Bangla road after a certain time (I want to say 8PM), so there is actually a lot of space for you when walking through this bar filled area. I love Thailand too such a wonderful place 🙂 I was actually in Phuket and got a tattoo of Thailand! Great post cheers!